In the last few years, the demands on the finance department—from real-time reporting to global consolidation—have increased significantly. 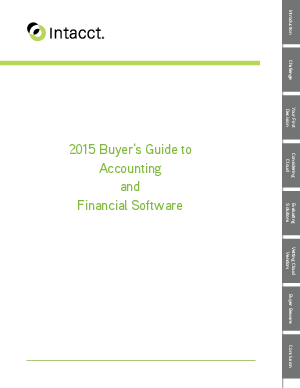 At the same time, the choices for accounting and financial software have become much more complex. How do you begin to research, evaluate, and select the right software for your business? Get all the facts for a successful buying journey!